Here is where we are working hands-on towards a smarter, better, more sustainable, more social and more beautiful district. How will we live in 2050? Brandevoort is both the site of conception and construction. It is a place to experiment, together, on every aspect: from build, energy and mobility, to safety and health. Everything will come together under one district. Smart Mobility will focus on excellent commutability. Food Technology will work towards a healthy city. We are accelerating our sustainable ambitions. Zero emissions is no longer an ambition, but a daily reality thanks to the likes of geothermal energy or solar fields... there’s space for that here, too. Shared living, smart sharing. 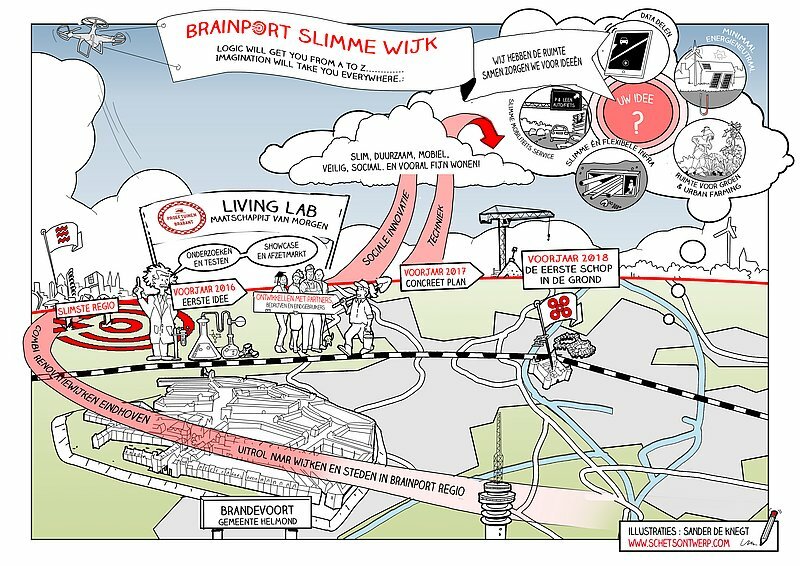 All of the pieces to the puzzle come together in Brainport Smart District, where future living is taking shape!